We service the Upstate New York area for all of their stone and granite services. For more information about our services, products or where we are located, give us a call at (315) 361-5191. 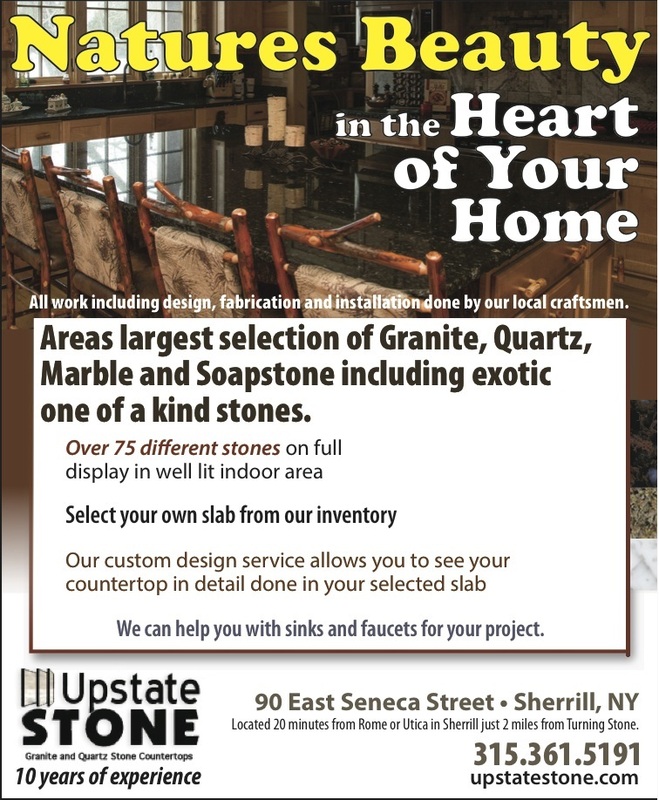 Welcome to Upstate Stone in Upstate New York! There is nothing more stunning than nature itself. Capture that same ageless elegance with granite countertops from Upstate Stone. Browse our selection of natural granite or quartz stone slabs and hand select the exact piece for your home. Our craftsmen will work with you to develop and install a custom fit design with a beautiful flowing edge and a brilliant finish for that one of a kind style that defines your home. We are dedicated to helping you make your home or office as unique as the stone created by mother nature herself. Copyright © 2019 Upstate Stone, all rights reserved.